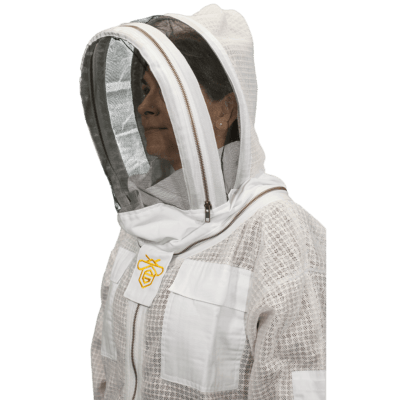 The easy access veil is a large, over sized veil that is a good choice for beekeepers that want to keep a maximum distance from your honey bees. The extra front screen panel will give you approximately 5 inches between your nose and the front screen. 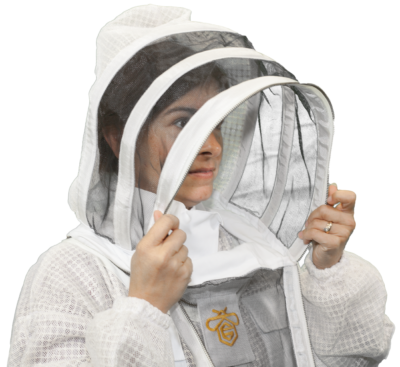 The extra panel does make this veil front heavy so it will naturally sit in a downward looking position (the direction you will be looking for hive inspections). 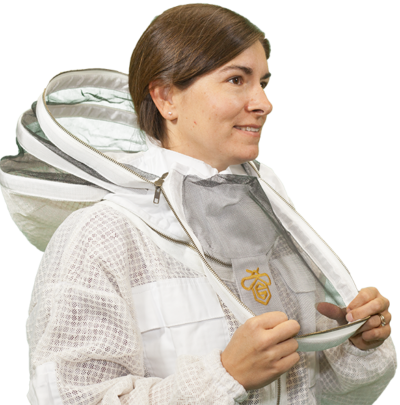 Our highly-sting resistant, ventilated, 3-layer mesh material keeps you cool and confident, while our triple zipper system give you easy access while still offering protection. Upper, lower, and sleeve pockets give you even more access to the tools you need, and all pockets are reinforced to prevent blowouts. 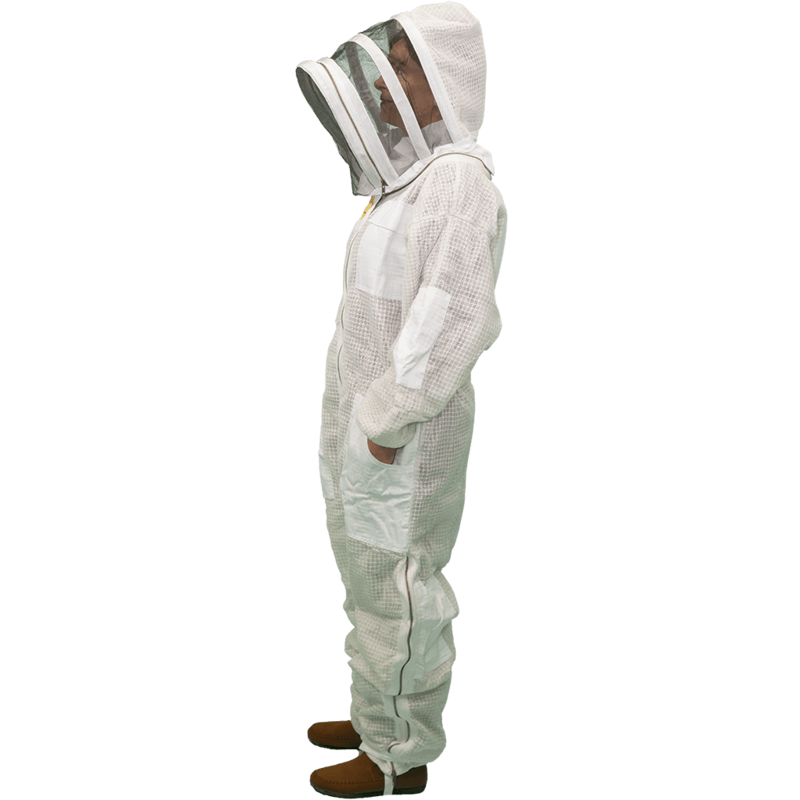 Our beekeeper suits are made with hip zippers to help you quickly and easily get dressed, and velcro closures at the bottom offer added protection. Suits are largely based off of height and ours run big. 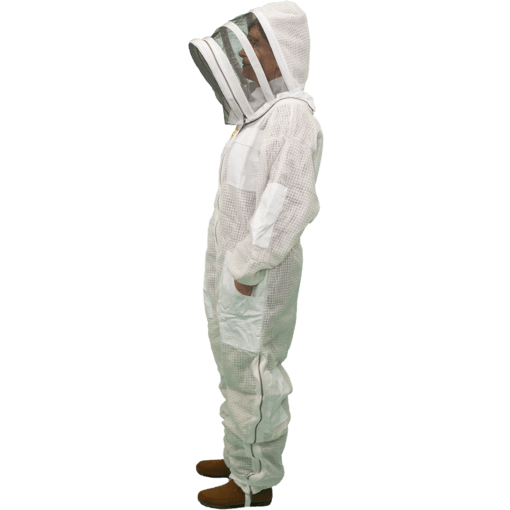 A small suit would typically fit from about 5’2″ to 5″5. XL would typically fit 5’10 to 6’1… 5XL puts you up around 7′! If you are more robust you can adjust the size up to compensate for that. We are currently working on a better size chart to make suit sizes easier to determine. Still worried about finding the right fit? Send us an email at support@guardianbeeapparel.com.